You're not always going to come in first in the race. That's just a fact. Sometimes you might not cross the finish line at all. But that certainly doesn't mean you should give up. Such is the case with the people over at Board To Death TV and Street Kings, their board game of underground street racing. They've tuned up their engine and are once more hitting the streets of Kickstarter, looking for some funding love. 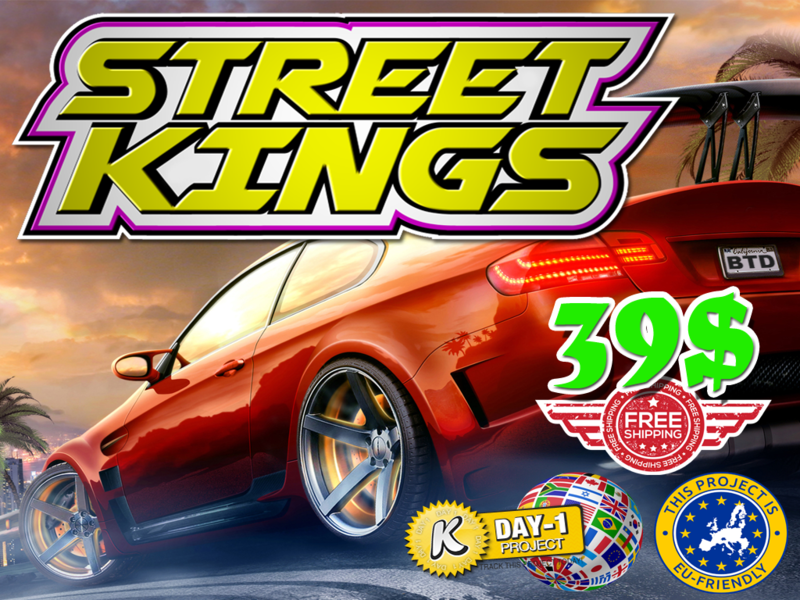 Take on the role of one of the elite in the fast-paced world of street racing. Of course, you don't get the super-turbocharged-mega-speed-demon cars to begin with. That'd be too easy. You gotta work your way up from mediocre cars. Participate in races to get money in order to buy better cars. Got a pretty car that might not race so well? Enter it in a car show in order to still get some money from it. Continue on until you only see other cars in your rear-view mirror. Want some more info? Check out the preview we did during their last campaign. The campaign is up and running now with 29 days left to go.